There is a widespread consensus among Americans across the political spectrum that the U.S. tax system is overly complex, inefficient, uncompetitive, and due for an overhaul. However, Congress has not passed a comprehensive tax reform bill in three decades. As a result, many lawmakers have set their sights on the 2017 legislative session as an opportunity to hammer out a tax reform deal. Because so many parts of the U.S. tax code are in need of change, any tax reform bill considered by Congress is likely to be hundreds of pages long and contain dozens of distinct provisions. As a result, lawmakers and voters may be unsure of the effects of each separate tax change on federal revenue collections, the tax burden borne by different groups of Americans, and the growth of the U.S. economy. 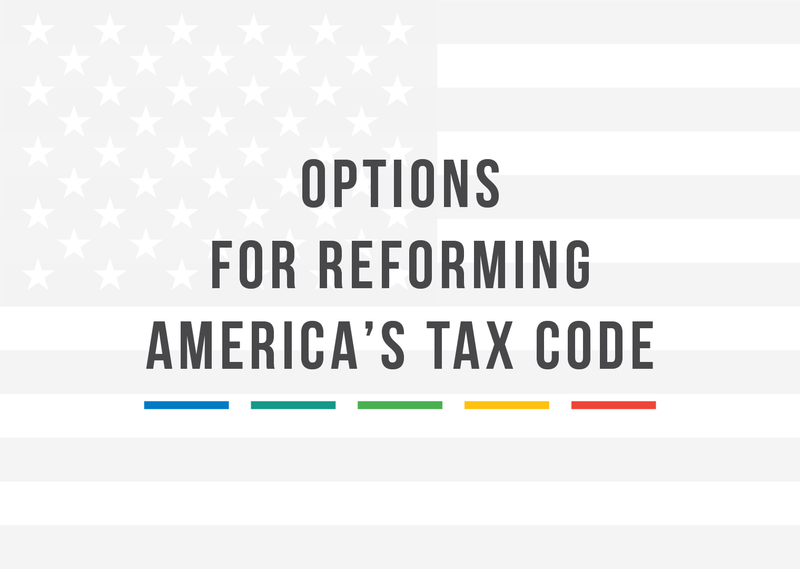 To assist lawmakers in assembling tax reform bills over the coming months, and to help the American public in understanding the tax changes being proposed, we have assembled this book: Options for Reforming America’s Tax Code. Options for Reforming America’s Tax Code describes 86 commonly proposed changes to the U.S. tax code that might be part of a future tax reform bill. Over the past few months, our team of economists has modeled the effects that each option would have on federal revenue, the distribution of the tax burden, and the U.S. economy. These figures will give policymakers and voters a full, three-dimensional understanding of the effects of each policy change. The options we’ve chosen for this book are not necessarily the Tax Foundation’s favored policies. In fact, no policy described in the following pages would be an unequivocally good or an unambiguously bad change to the tax code. Each of the options in this book comes with tradeoffs. It is becoming increasingly clear that tax reform is a once-in-a-generation opportunity. We hope that Options for Reforming America’s Tax Code helps policymakers get it right.